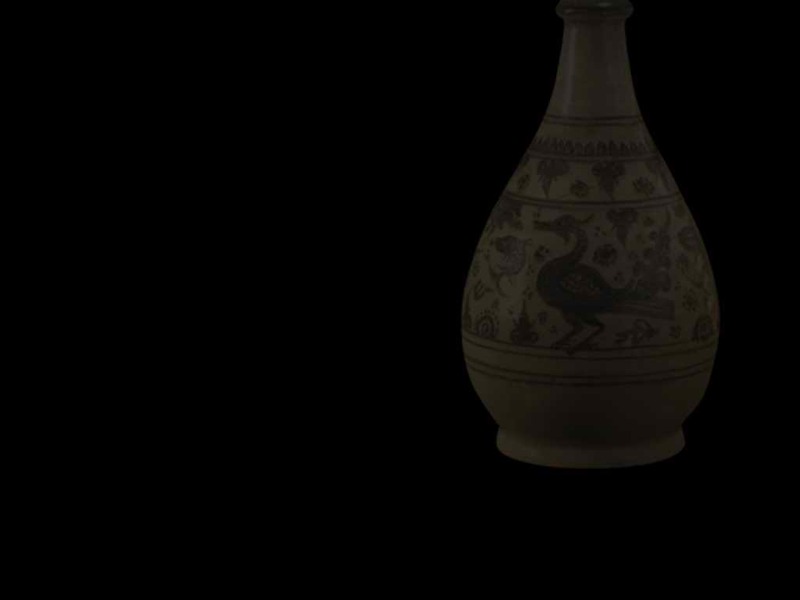 Early Haripunchai wares are more an extension of architectural decoration than pottery. 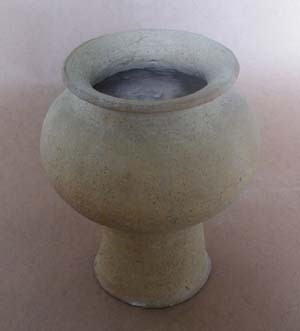 Coarse unglazed funerary urns were, however, produced. The five jars in the Collection were bought at the roadside in Lamphun in 1978 - considerable doubt has been expressed as to whether they are genuine or not. 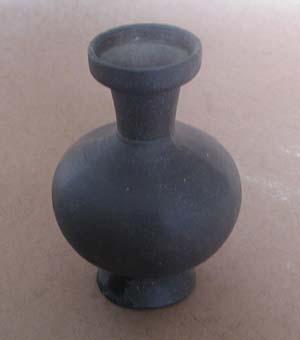 A few hand-built pieces with a primitive brown glaze have been found at early Haripunchai sites. 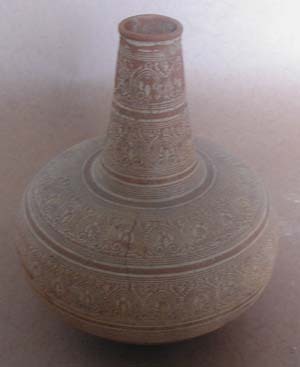 Late Haripunchai watercoolers with extraordinarily fine inlaid decoration were probably produced in the area of modern Lamphun - Fine Arts Department reports of kilns are dubious. 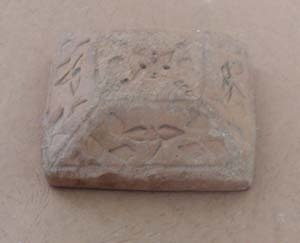 These wares were found in large numbers at the Tak Hilltop Burial Sites and can therefore be dated to the 1350 - 1550 period. They were probably made for ritual purposes - many, if not all the watercoolers from the burial sites had a stopper, often lacquered. Sir John Bowring wrote, in 1855, of red earthen watercoolers made in Chiang Mai, and the tradition continues to this day. All the pieces in the Collection are from the Tak Hilltop Burial Sites unless otherwise stated.They were acquired in 1984-5.